Life has a way of beating us and kicking us when we’re down. Many of us are constantly under spiritual or emotional assault. When we learn how to combat these assaults in a way that strengthens us, we are healed and renewed, rather than feeling broken, angry, depressed and alone. So how exactly do we do that? Well, I’ll share my testimony of how I found not only strength but restoration and joy in expressing unconditional gratitude to God, the Father, and praising Him daily, even in the midst of life’s many storms. “Life and death are in the power of the tongue.” This is a Bible scripture from the Book of Proverbs 18:21. It means our words have creative power. 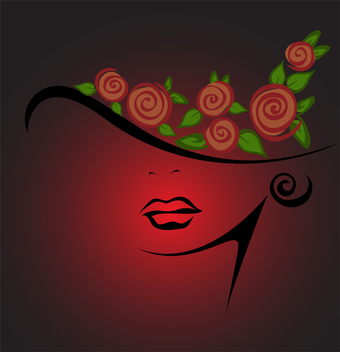 When we speak, whether it’s positive or negative, we give life to what we are saying. In essence we are prophesying our future. It’s easy to acknowledge God in the good times. However, what’s your relationship with God in the middle of adversity? How do you handle life’s difficulties? Your answer to these questions has a direct relationship to your level of faith and inner strength as well as your ability to claim victory over spiritual assaults and the power to transform your life. I have had a tumultuous relationship with God. I experienced painful losses and many hardships, as many of you may have, but I turned away from God and instead turned to alcohol. I reacted to my circumstances in a very unhealthy manner that only made my situation worse. Even though I felt that God and I were at odds, I desperately wanted a better relationship with Him. It wasn’t until I opened myself to God’s Word that I began to heal. I noticed how I was using negative self-talk without being aware of the devastating effect it had on me. I was always talking and crying about what was wrong in my life, asking why God didn’t like me and what was wrong with me. It was so clear to me that my words were shaping my life. I helped to create this world I was living in not only by my actions but also by my thoughts and words. It was like a revelation for me. I tried to use affirmations but couldn’t form a routine practice of saying them and thus I didn’t think they worked for me. Affirmations are positive statements or self-talk used to condition the subconscious mind to help you change behaviors, accomplish goals, and undue damage caused by negative self-talk or beliefs. However, there is no personal relationship with God formed and I think that was my missing link. I also realized that there was an element that was severely lacking in my life…gratitude. Sure, I thanked God when something good happened, but I didn’t express gratitude regularly. And in truth, despite how desperate and horrible things seemed right then, I knew deep down that I was blessed in many ways, but I just couldn’t see past my overwhelming circumstances. So I then began my journey on the path of unconditional gratitude. I made a point to look for the blessings rather than the glaring tribulations and bad fortune. I took scriptures and positive words of faith and turned them into what I call Praise Declarations. To me they’re more than just affirmations. When I speak them, I am giving praise to God not only for my blessings but also for what I want to come to pass, understanding that I am creating and claiming that reality as I speak the words. I consider praise declarations to be a form of prayer. When we speak these praise declarations, the words become firm in our spirit first. They take root and feed us mentally, emotionally and physically. Then in time, those words, thoughts and ideas manifest themselves in our reality. As a result of speaking my Praise Declarations every day, my heart was lifted and lightened and my inner strength was increased, allowing me to face and overcome the trials and tribulations life threw at me in a positive and healthy way. The circumstances in my life began to get better, and eventually, I was also free of my addiction. God had transformed me! Yes, sure, I was still a work in progress, but I wasn’t where I used to be. I’d like to share some Strength Praise Declarations from my book, The Power of Unconditional Gratitude: 131 Inspiring Declarations for Faith, Strength and Victory. You can make these praise declarations a part of your daily prayer life, you can meditate on them, repeat them throughout the day, whatever you like. However, I do encourage you to speak them aloud at least once a day. Thank You, God, that I have been anointed to outlast what comes against me. Thank you, God, for equipping me with Your armor so that I can stand strong in You. Thank you, God, for Your strength and peace in every area of my life. Thank you, God, for keeping me from making the mistakes I’m most prone to when temptation comes. Thank you, God, for helping me to think clearly and exercise self-control. I encourage you to speak positive spiritual words of gratitude over your life everyday to multiply your faith, increase your inner strength, claim victory over spiritual assaults and empower you to transform your life. Hanna Rose is a freelance writer moved by the spirit to share her testimony of success when faced with her trial of faith. Hanna had many dark nights of the soul starting when she learned that her young husband was diagnosed with a cancerous brain tumor. She struggled to keep her faith and find joy in her life after the loss of her best friend and husband. She was on an emotional and spiritual roller coaster as well as being on a fast track to physical dis-ease as a result of her addictions. In the midst of the chaos of her life, she established a stronger connection to God than she had ever known and was restored physically, spiritually and emotionally by realizing the power of three particular words (Thank you, God) when spoken in faith and backed by belief and action. 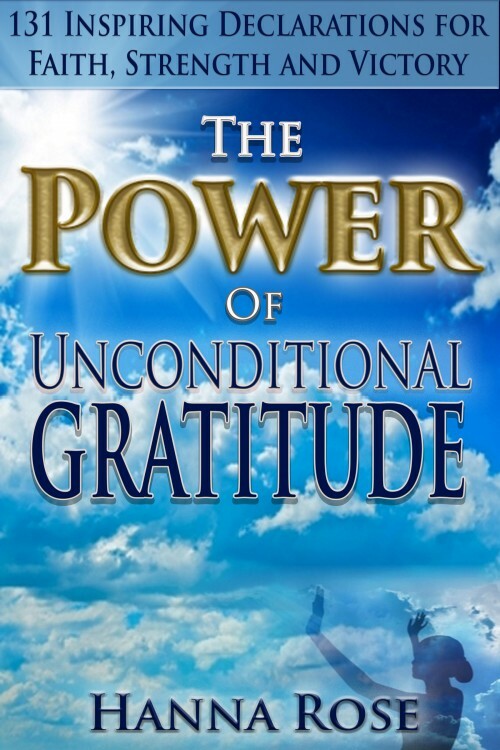 The Power of Unconditional Gratitude is her debut Spiritual Self-Help book that shares her journey of transformation from victim to victor and guides readers on how they, too, can multiply their faith, increase their inner strength, claim victory over spiritual assaults and empower them to transform their life.